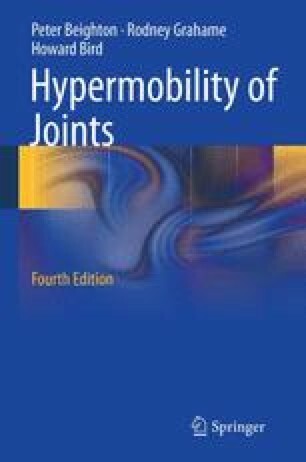 Adequate methods for measuring the range of movement at joints are essential for the definition of criteria used in the study of clinical problems associated with joint hypermobility. Scoring systems for hypermobility that survey a large number of joints in simple fashion are ideal for epidemiological studies in large populations. Latterly, investigators have devised sophisticated mechanical devices for the precise quantification of movement at a single joint. The greater precision afforded may be ideal for serial assessments in the same patient but this greater precision is of limited use in epidemiological work if the joint fails to mirror the status of laxity at other joints in the body. Moreover, a joint may display acquired hyperlaxity in compensation for a reduced range of movement at adjacent joints, for example in the vertebral column.